A first voyage woman third officer. There's a lot that can go wrong there. 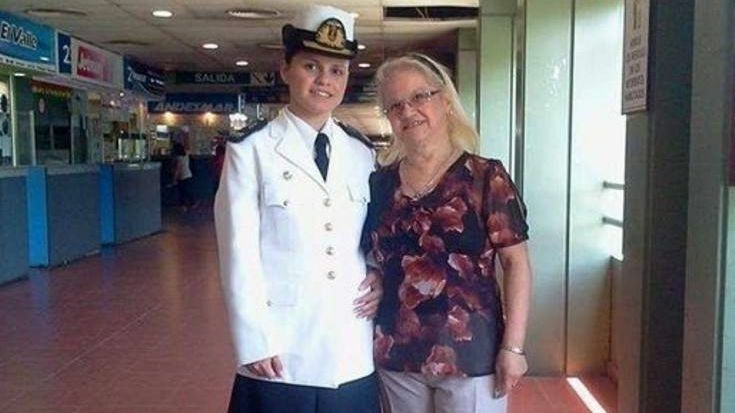 A recent maritime academy graduate was found dead in her cabin aboard the Argentine product tanker Punta Medanos last week, and prosecutors in Mar del Plata are working to determine whether it may have been a homicide. Maillén Teresita Amalia Torres Alvarenga, 26, was a graduate of Argentina's national maritime academy (ESNN) and was on her first voyage as a third officer aboard the Punta Medanos. The Medanos’ captain reported the discovery of Torres Alvarenga’s body to Argentina's National Maritime Prefecture on Friday, and the authorities ordered the vessel to proceed to the port of Mar del Plata for an investigation. Upon the Medanos’ arrival, police came aboard to collect forensic evidence, including shipboard video recordings, and to interview her 23 remaining crewmembers. Based on the initial results, the authorities believe that the cause of death was asphyxiaton by hanging. Prosecutors are awaiting the results of a full autopsy and have not yet ruled out homicide. As of Tuesday evening, the Medanos was under way once more, bound for the industrial port of Comodoro Rivadavia.